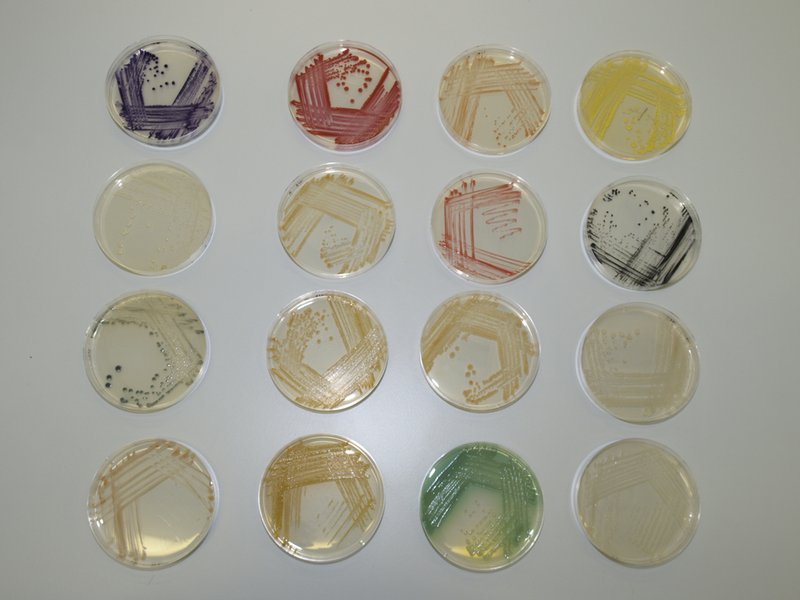 This is the palette of naturally pigmented bacteria that I collected and prepared for a Wellcome Trust project with artist JoWonder. Jo painted a living interpretation of John Millais’ famous painting “Ophelia” http://www.underthemicroscope.com/blog/artist-paints-ophelia-using-bacteria using this palette of living colour. Beyond, their colour each pigment is also unique in its inherent characterisitcs. For example, some species are aggressive and will seek to dominant the others, whilst others adopt effective defensive strategies. 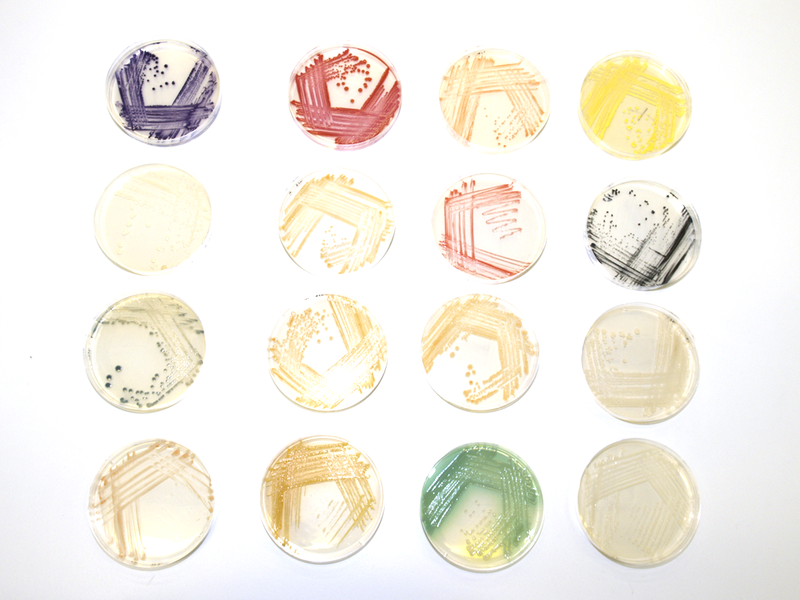 This entry was posted in Uncategorized and tagged BioArt, Coloured bacteria, Pigmented bacteria by simonsublime. Bookmark the permalink. hi, it’s really interesting to see so many pigmented bacteria being isolated and used in art, i was wondering about the bacteria in the picture (last row, second from the right). can i know what bacteria is that?